LUWI (pronounced loowee) stands for “Let Us Wear It” and is an ultra-thin, hormone-free, chemical-free, new form of contraceptive and sexually transmitted infection (STI) protection made for women. Until LUWI, women have had to rely on a man to wear a condom. NO longer. LUWI gives women the ability to be in control of their protection and address the problem that condoms can be disruptive to feeling good leading many men to be unprotected despite STI/STDs reaching epidemic levels. “Until now, sexual health options have not kept up with the modern woman,” noted Lisa Kinsella, Founder of LUWI. Condoms are tight covers that are only usable at a specific moment, LUWI can be inserted up to eight hours before it is needed and protectively rests inside a woman for a natural, pleasurable experience. 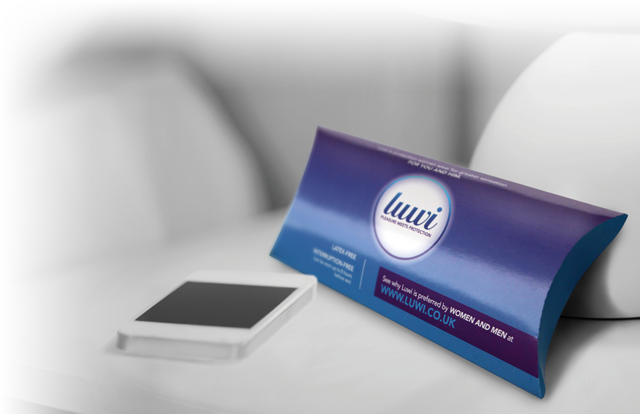 LUWI acts as a lining to prevent contraception and sexually transmitted infections and diseases. According to independent efficacy tests LUWI is more protective than a condom, and has a .1 percent breakage rate, compared to a 3.1 percent breakage rate of condoms. Condoms require women to outsource their sexual health; LUWI exists to change that NOW. Experts estimate that there are more than 150 types of condoms in the global consumer market – none that are made for a woman. Order at www.Luwi.uk use promo code “wearthepants”. If you’d like more information about LUWI send enquiries to hello@getluwi.com. Consumers can order online at www.getLuwi.com with promo code PHARMACYBIZ for 20% discount.